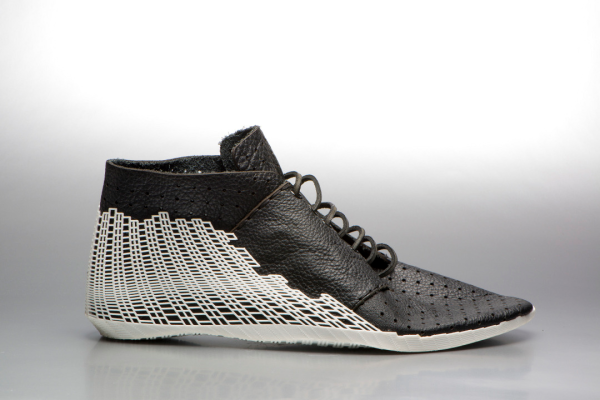 Earl Stewart has created a couple of different shoes using a 3D printer. 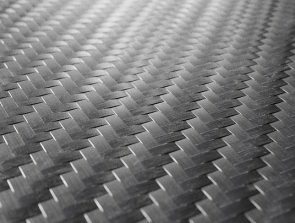 The ‘bits shoe’ and the XYZ shoe are printed because it allows Stewart to create more flexible and rigid shoes in a single seamless form. 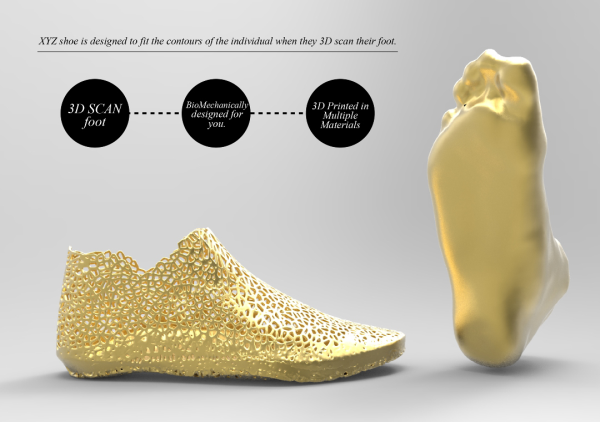 Stewart uses a 3D scanner in conjunction with a 3D printer to allow him to create shoes that exactly matches an individuals foot. 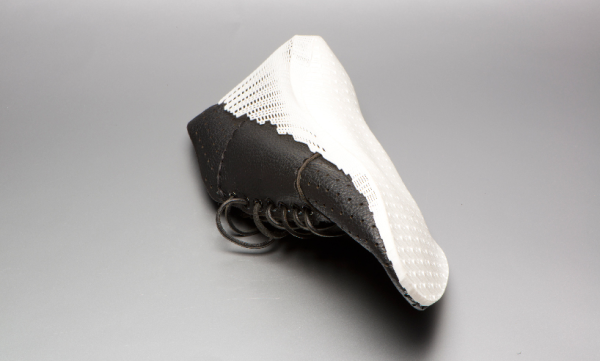 One of the two shoes, the ‘bits shoe’ was made of a Selective Laser Sintered nylon sole with leather pieces placed on top. 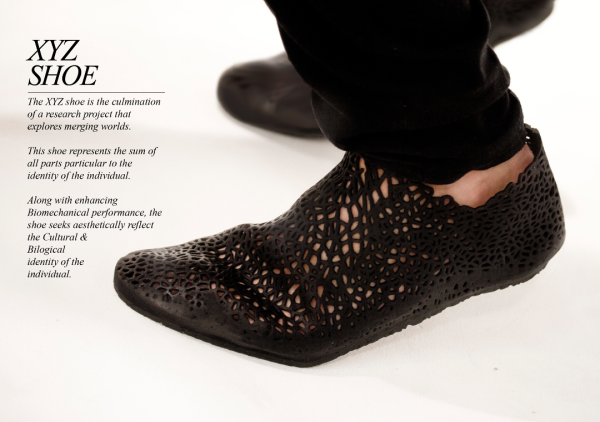 Stewart scanned the wearers feet and then printed out the nylon part. He then cut the leather pieces with a laser cut. 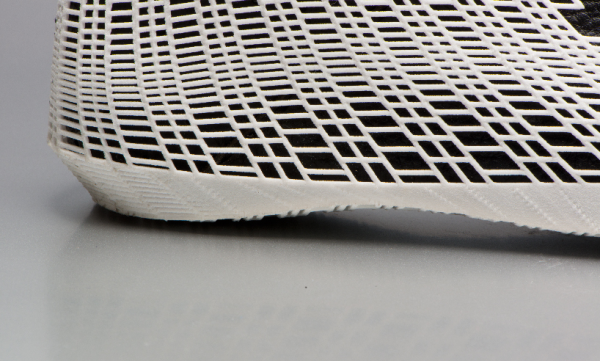 once laser cut, the component is hand sewn and processed according to traditional techniques then combined with the rapid-prototyped sole. 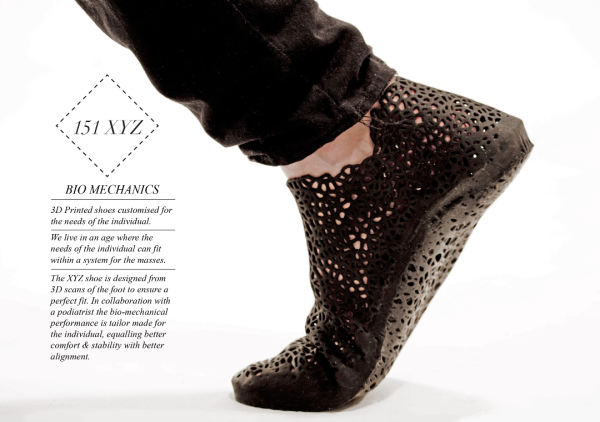 The second shoe is the XYZ and Stewart has considered cultural and biological values whilst designing it. 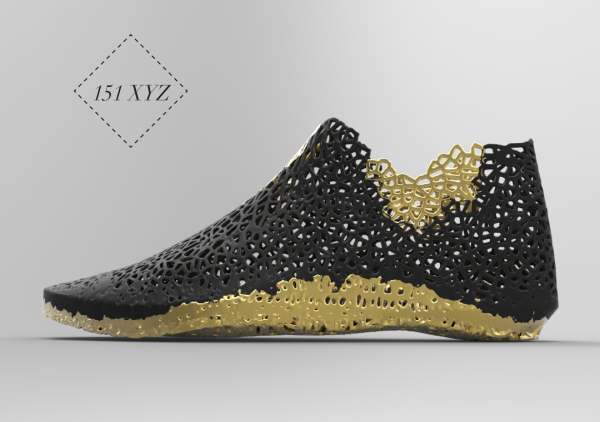 A Multi Material 3D printer from Objects Connex allowed Stewart to print the entire XYZ shoe in a single piece. 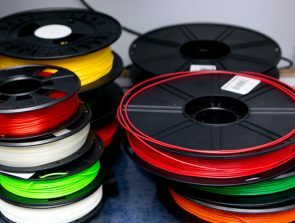 The Multi Material 3D printer also allows him to make multi coloured shoes. Earl Stewart is a designer with experience across a diverse range of disciplines which include Industrial, Graphic, Fashion & Branding. 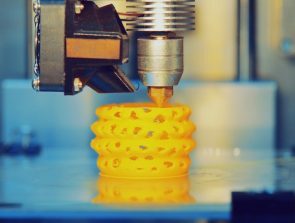 His skills extend across the whole ADOBE suite family, SolidWorks studio, 3DS Max , Rhino + Grasshopper, and skills in Processing. 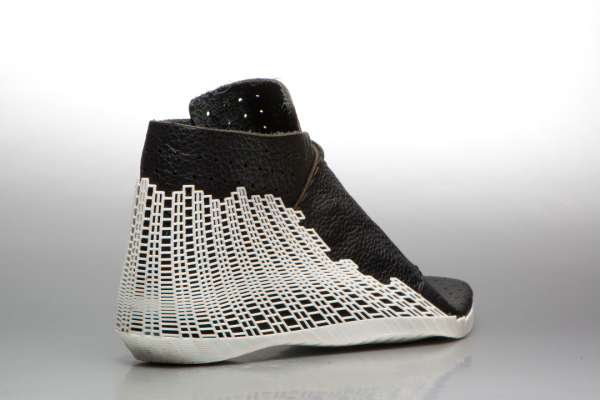 Take a look at Earl Stewart’s website for more information on his shoes and other designs that he is currently making.